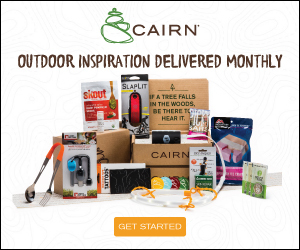 Complete Cairn Box Review – Awesome Outdoor Products Delivered Each Month! Monthly subscription boxes are a growing fad. The premise is simply that you pay a monthly subscription and receive a curated box of products each month that is meant to over-delivery on value. 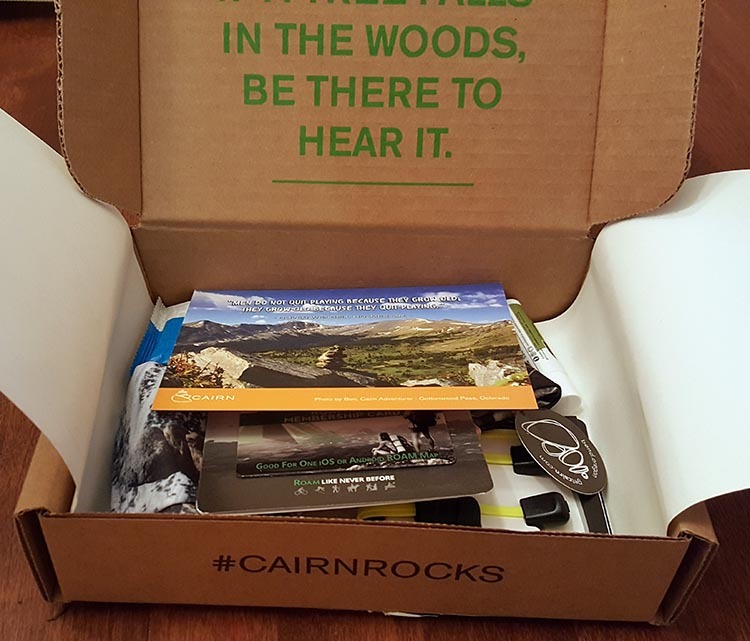 The Cairn Box is the monthly subscription for Outdoor lovers! 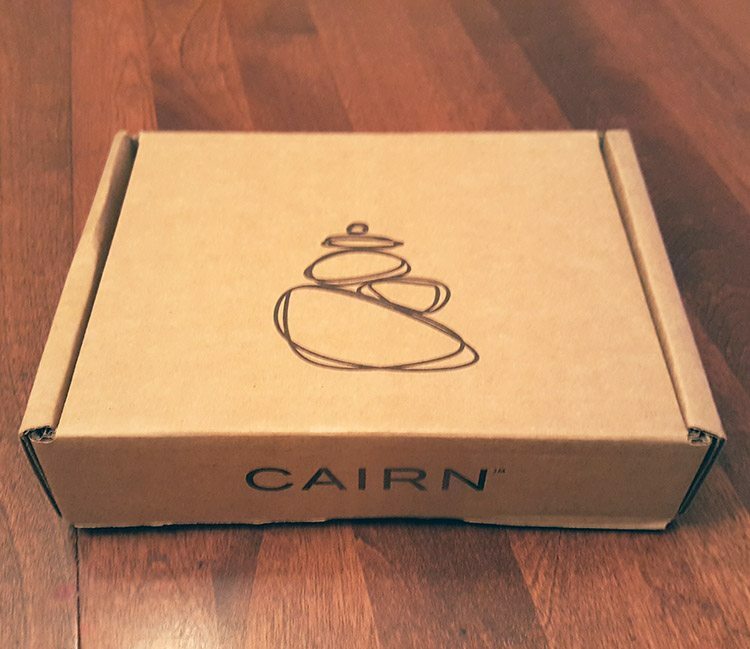 I decided to put the Cairn Box to the test and create a review of the Cairn Box subscription to see if it’s worth it. 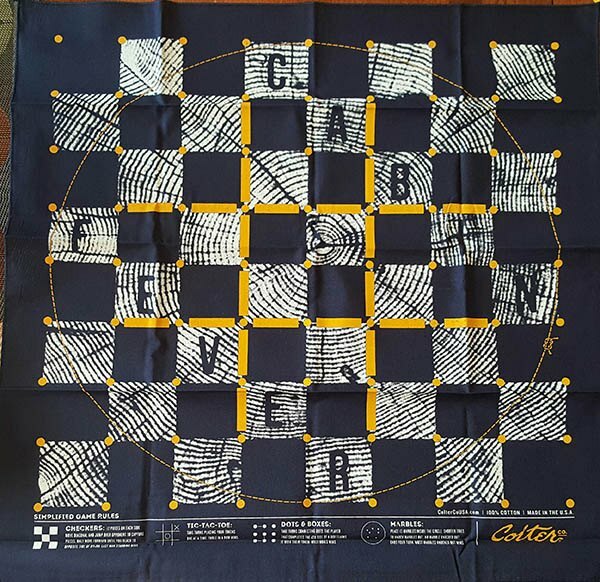 The first month of my Cairn Box﻿﻿ Subscription arrived in the mail about 5 days after I joined. I walked in the front door after a long day at work and it was waiting for me on the kitchen counter. I probably got more excited than a grown man should, but hey, it’s the little things and it was my first one. If you’re already a member you know that the packaging is well done. It’s like opening a Christmas present, you never know what it might be. 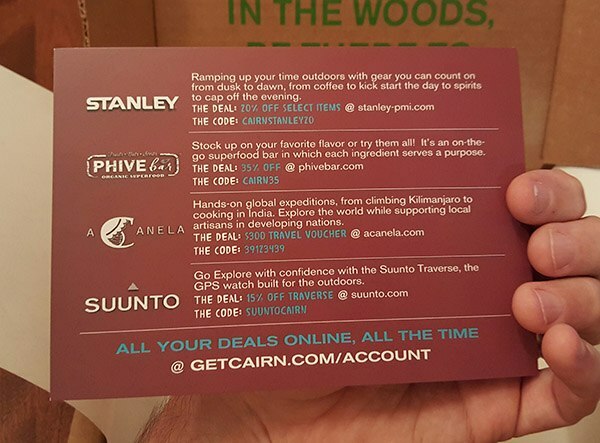 Every box has 5 items plus a couple bonuses like a Cairn sticker and a card full of coupon codes. 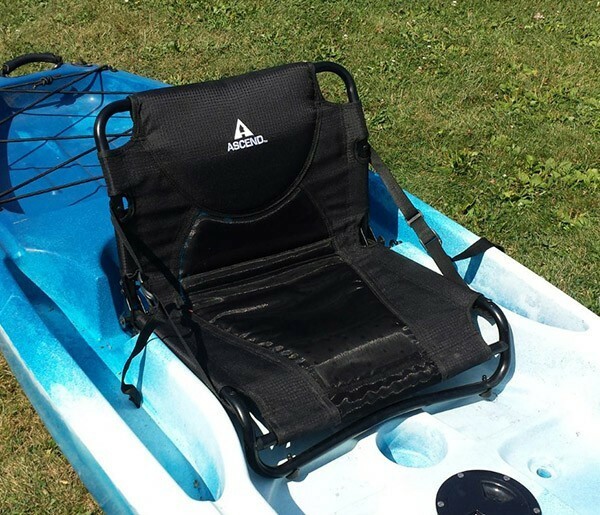 This one was full of practical things I will actually use and the retail value was well above the $25 subscription price – see the Value Check below. The info card has a quick description of everything in the box, which is great because some of the brands were new to me. 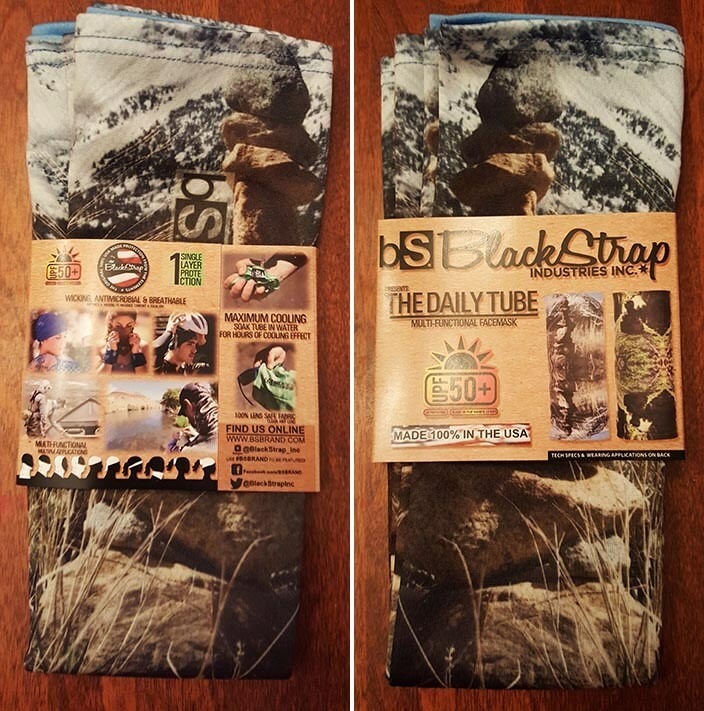 The first item is the Black Strap Daily Tube which is like a “Buff” with a cool Cairn, mountain pattern on it. It’s SPF 50, wicking, breathable and anti-microbial. You can wear it about 50 different ways to block the sun. Soak it in cool water and it will keep you cool for hours. 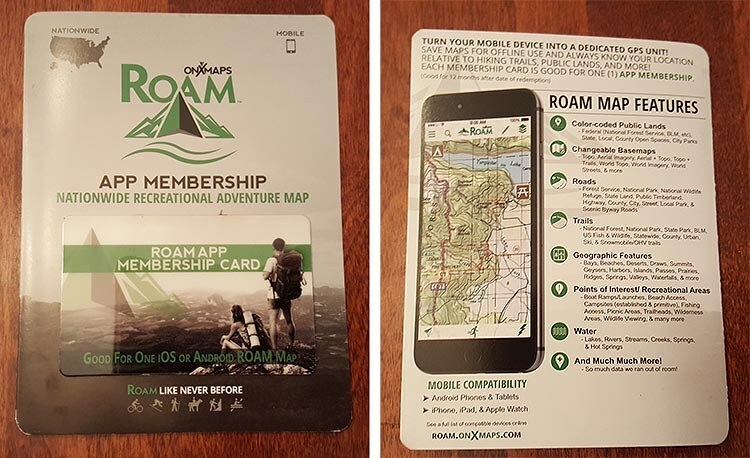 The Roam App card is good for one free map after you download the free app. A full membership is $10 bucks. I set it up on my phone and was blown away at the detail of these maps. Trails, roads, rivers, lakes, geographic features and on and on. 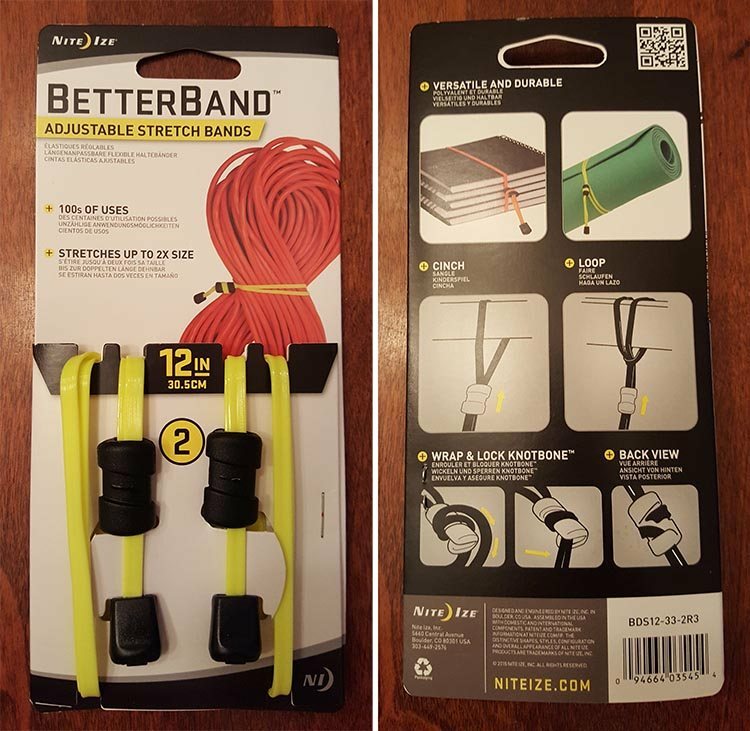 A package of two, 12 inch stretch bands that have a unique locking system so they hold tight. I can think of a ton of uses for these. 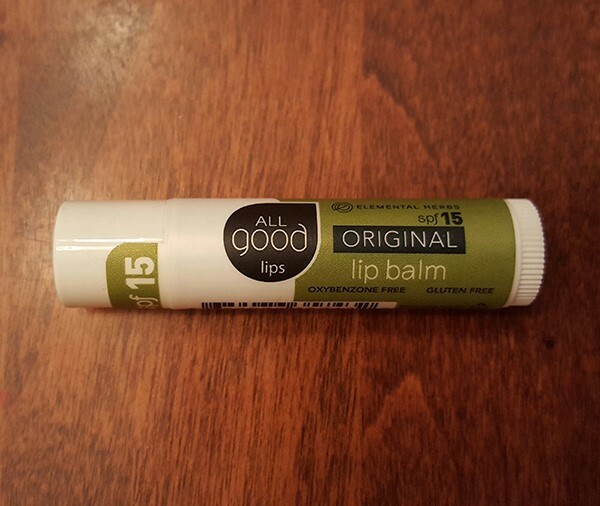 I think everyone carries a lip balm. This one is organic and gluten free with an SPF of 15. This one was new to me. I’m a Clif Bar fan and this was a nice alternative. Super tasty, completely organic and full of nothing but… fruits, nuts and seeds. They have a bunch of other flavors which I would like to try. 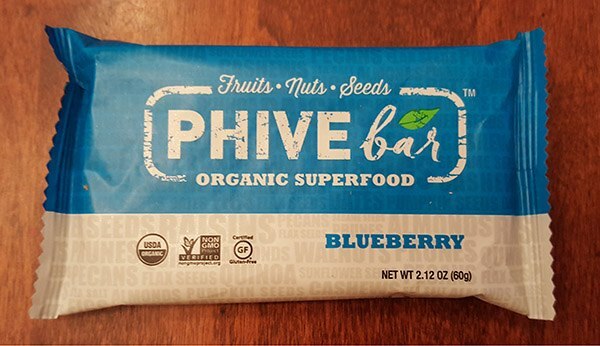 The box came with a 35% off coupon code for more phive bars. Some pretty good discounts on this card full of coupon codes. 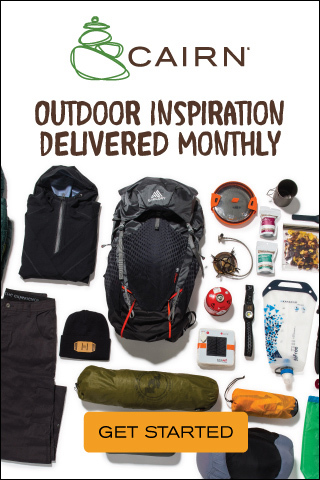 From big brands like Stanley, Phive Bar, Acanela and Suunto. 15 to 35% off. 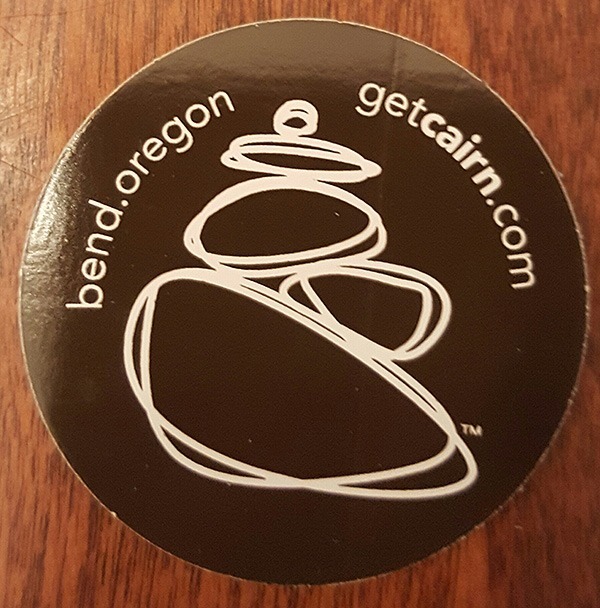 Everyone loves stickers, now I have a getcairn one. 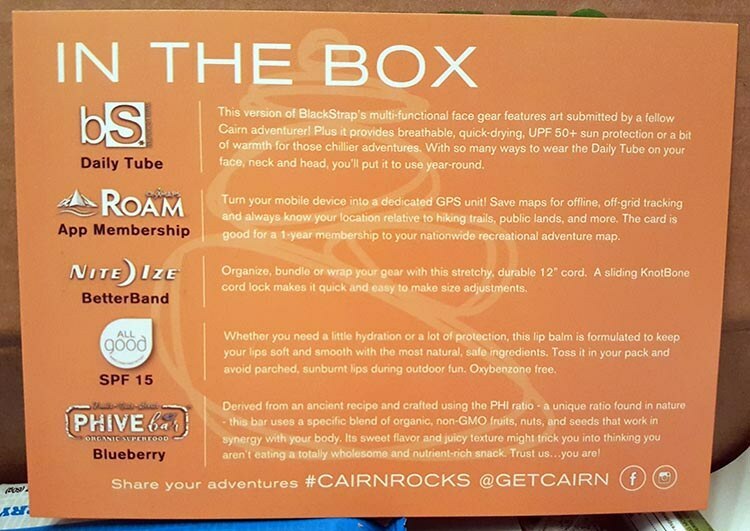 The Cairn Box for my first month was definitely a winner. A good value, gear that I will actually use on my next outing, and a nice surprise in the mail. I’m looking forward to next month. 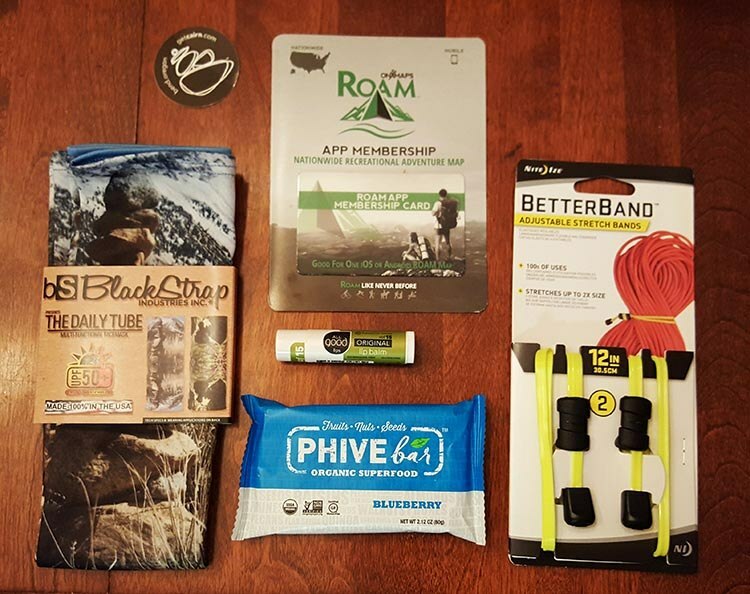 The second month of my Cairn Box subscription arrived right on time and surprised me with some useful gear for the dog. 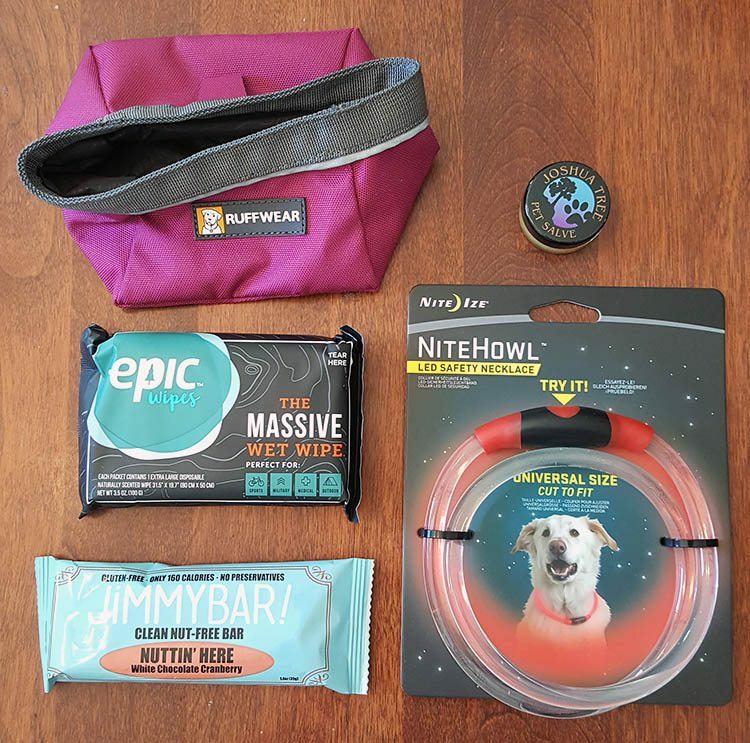 A travel bowl from Ruffwear, a massive Epic wipe perfect for my filthy lab, pet salve for his elbows and paws, a NiteIze safety necklace for those late night walks, and a Jimmy Bar for me. Hydrate, hydrate, hydrate. It’s as important for pets as it is for the adventurer. I love taking my dog with me and don’t want him drinking from potentially gross sources along the way. 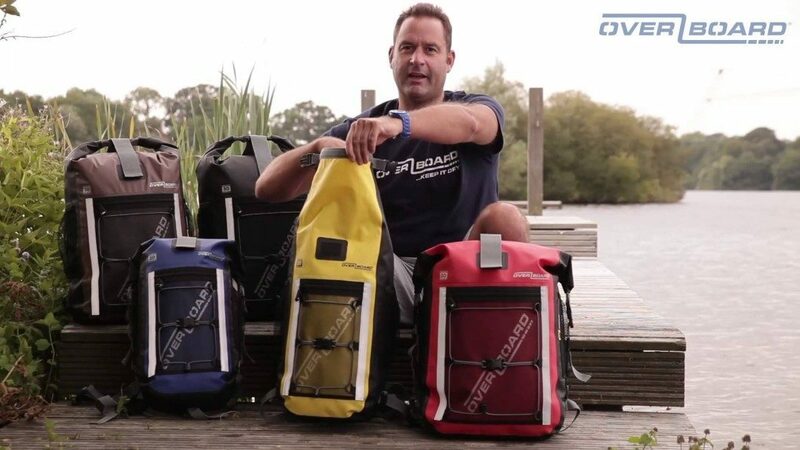 The Quencher is super light, collapsible, waterproof and easy to fill with high quality water. October means the days are getting shorter so evening walks are in the dark. 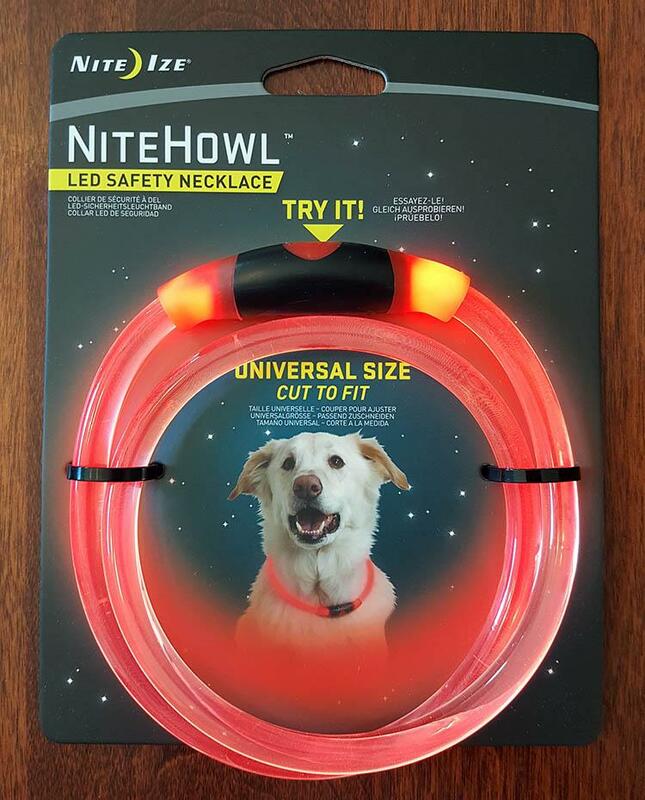 This customizable, blinking LED necklace is bright and makes your pet more visible. 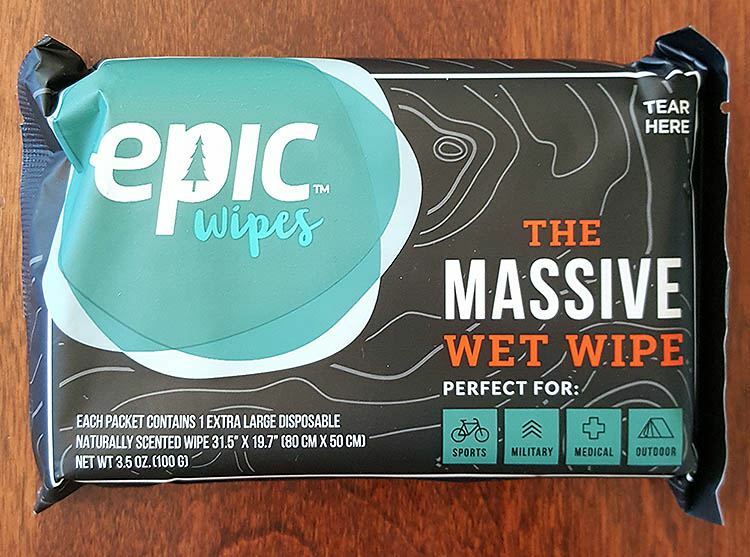 A wipe that measures 30 x 19 inches! I wasn’t sure what to do with it until I smelled my dog after a two mile walk. It’s big enough to give him a full wipe down ‘freshy fresh’. That’s just one use, you can throw one in your pack for a full bath after a long day, or put it in your glove box for emergency use. This was new to me but a brilliant idea. 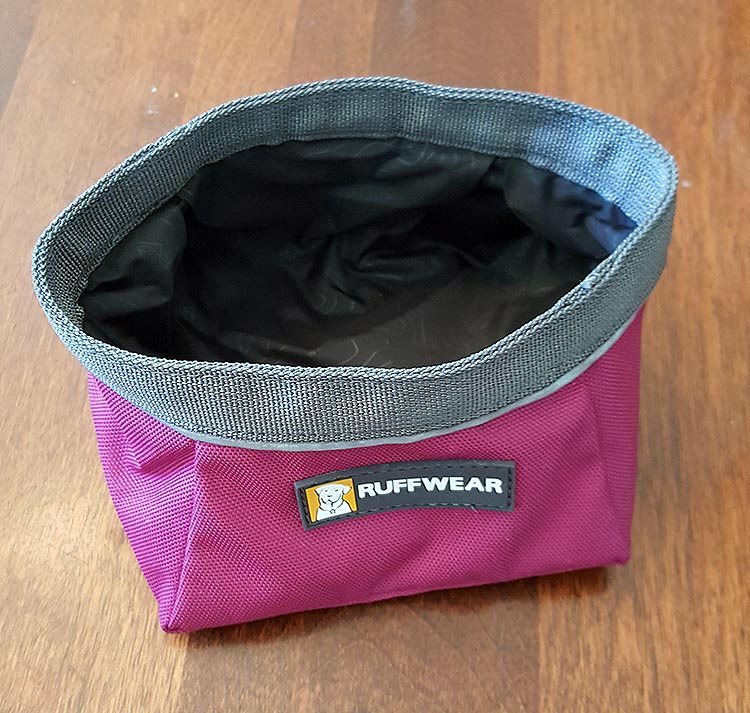 You take your dog on the road and trail but how many people take care of their pets paws? 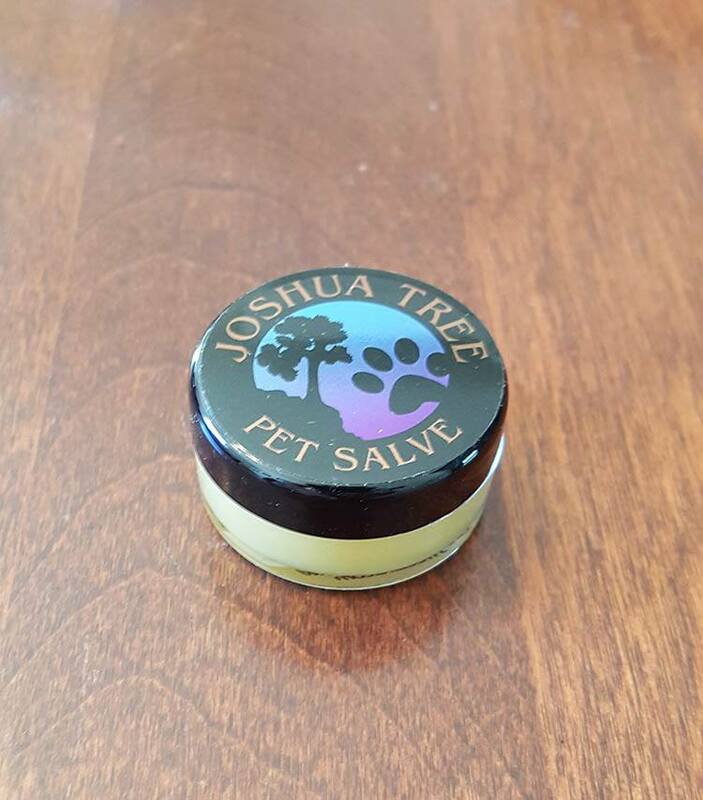 Pet Salve helps keep the paw pad strong and healthy. I used it on my labs elbows which can take a beating too. This is the newest flavor, White Chocolate Cranberry. Gluten-Free, Nut-Free and all natural. Who is Jimmy you ask? Part of the brother and sister team of Jim and Nettie who started the company in 2013 to make clean snack bars with no processed protein or phony ingredients. Find their bars here. 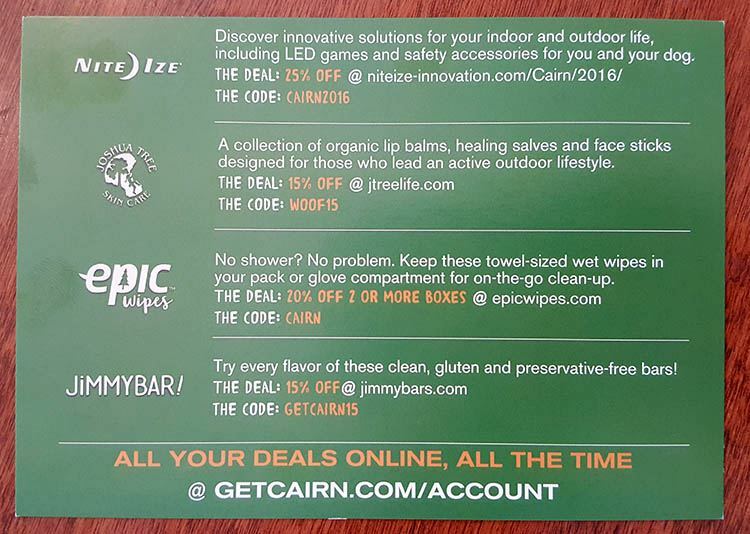 As always, the Cairn Box has a card full of great coupon codes from 15% to 25% off. In the third month of my Cairn Box subscription, there were a total of 5 items, with a value of over $45! 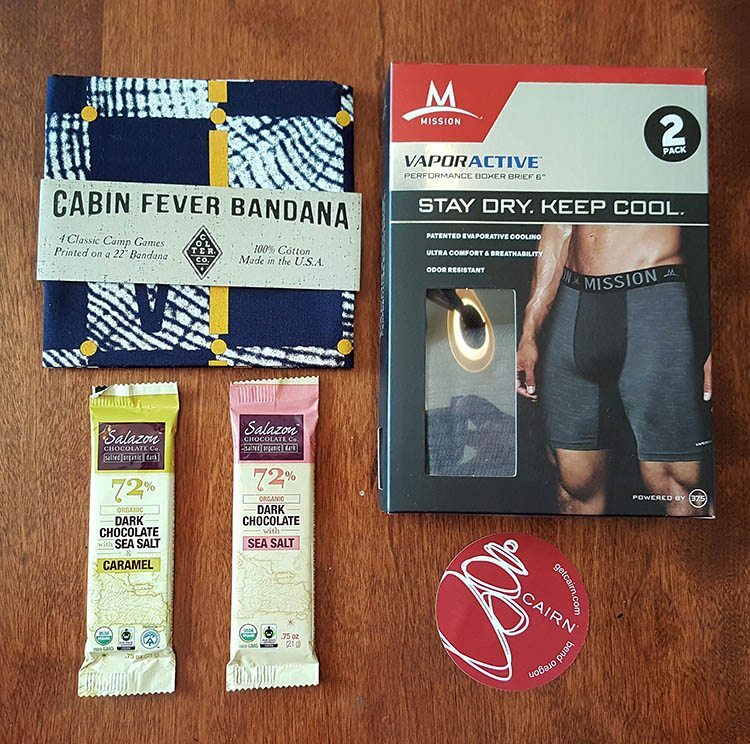 The headliner was the 2-pack of Mission Vaporactive boxer briefs, followed by the Cabin Fever Bandana, the Salazon Chocolates and another cool Cairn Sticker. These ultra quick drying athletic boxers have a patented cooling system called ‘37.5’. 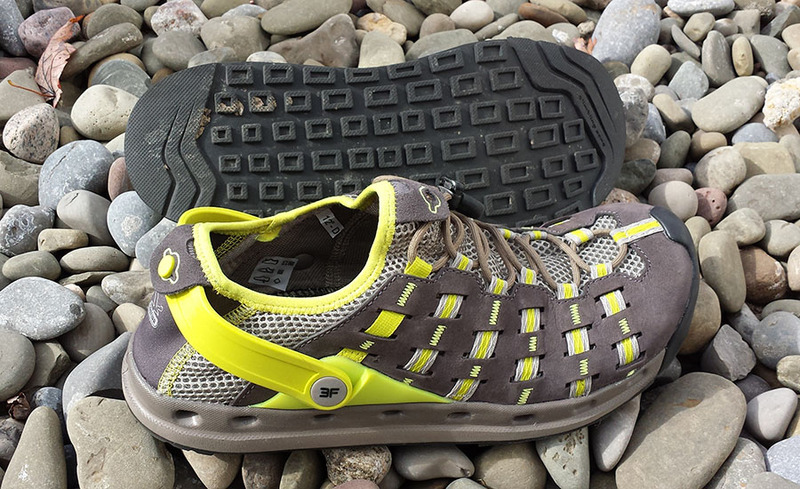 They infuse the fabric with active particles that speed the evaporation and cooling process. The 2-pack has a black and grey pair, they feel similar to spandex and are quite tight and supportive. I’ve never owned a pair before but was really pleased with how they felt throughout the day. 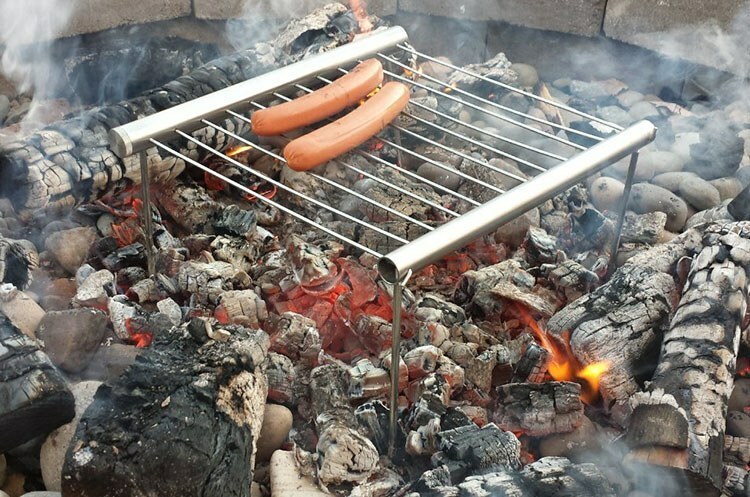 This is as multi purpose as it gets. 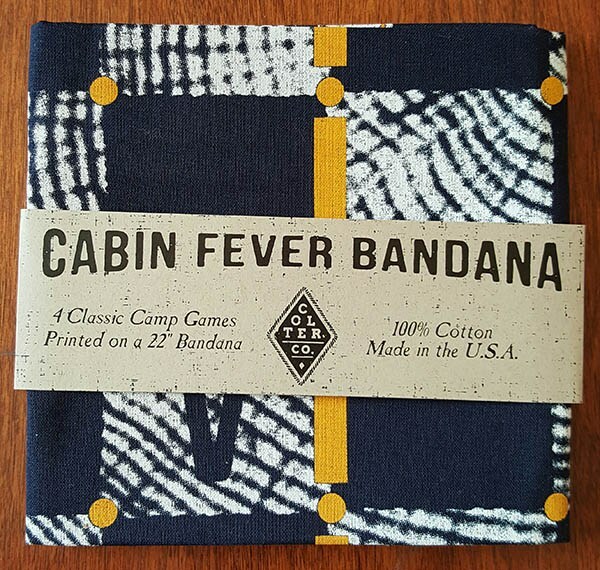 A bandana for your head, neck or table that folds out into a game board for checkers, chess, tic tac toe, marbles and dots & boxes. Find some stones or pine cones for game pieces and play on. Then snap it and wrap it around your head when your done. Salted. Organic. Dark. SOLD! 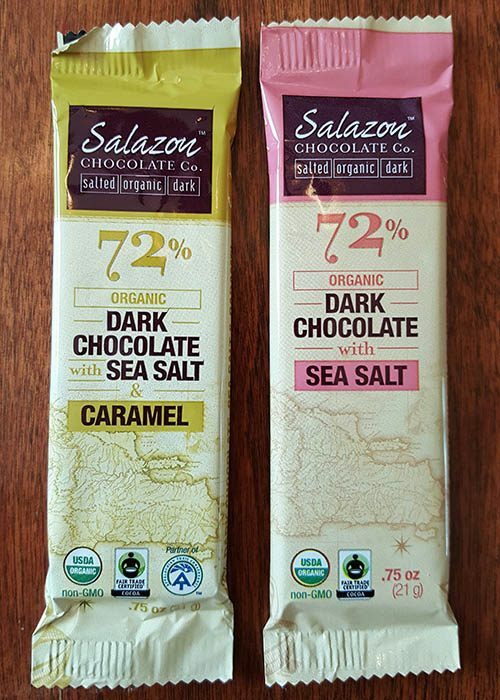 This was my first experience with Salazon chocolate and they are excellent. At least that’s what my wife told me. She doesn’t even like dark chocolate and yet they disappeared rather fast. I love that Cairn has so many different stickers. I’ve gotten a different one each time and it’s fun finding a place to stick them. Wow! The Cairn Box really crushed it this month in terms of value. Over $45 worth of gear! 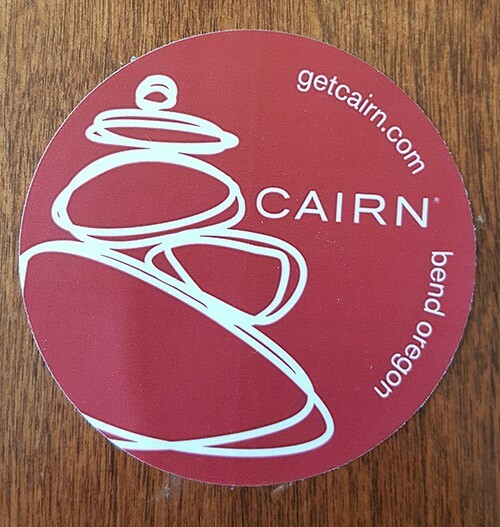 If you are interested in looking into a subscription, I would recommend you check out the ﻿Cairn site. They have several subscription levels and special boxes that make great gifts. Thanks for taking the time to visit Gear Cloud, we appreciate your time and your support. PreviousAppalachian Trail Post Script. An Interview with Joe Deitzer.